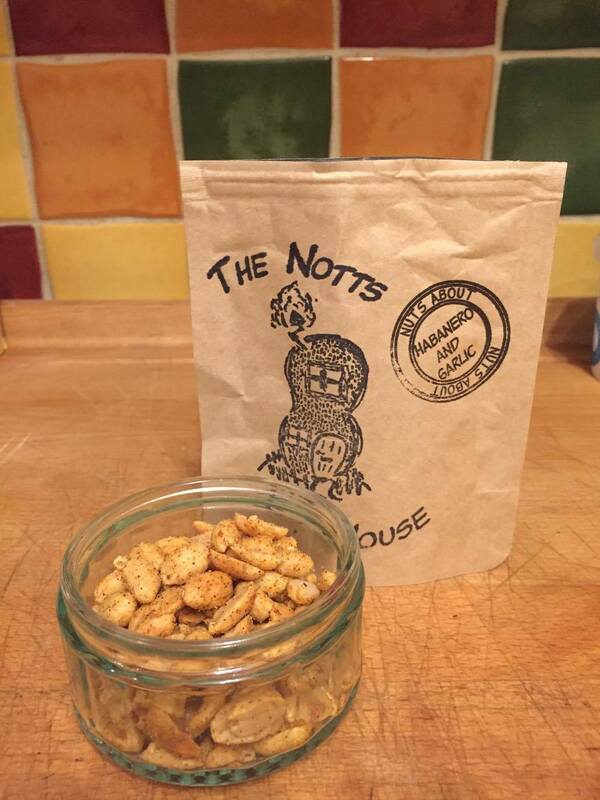 The Notts Nut House is a new and upcoming independent business in Nottingham who offer a range of flavoured peanuts. 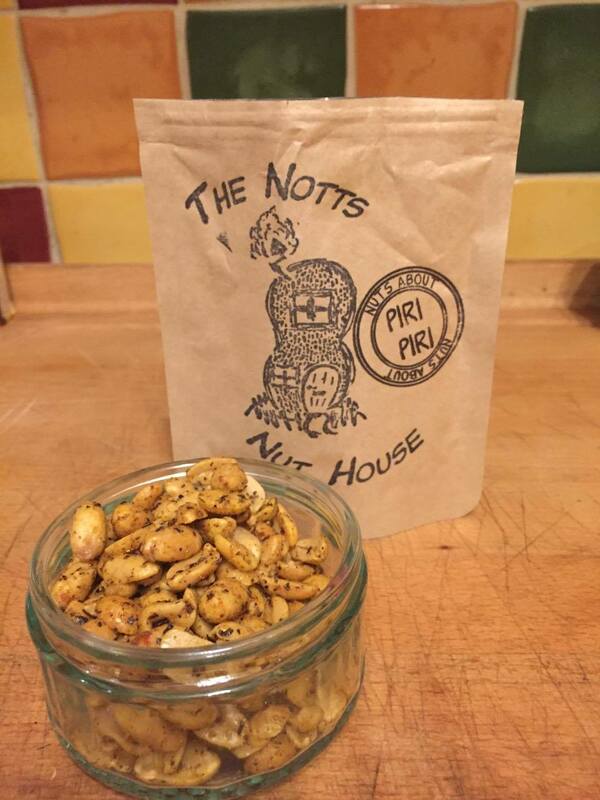 Since launching last year, they've been super successful so far and are now stocked in a variety of pubs and bars throughout Nottingham, Derbyshire and even as far as Cardiff! 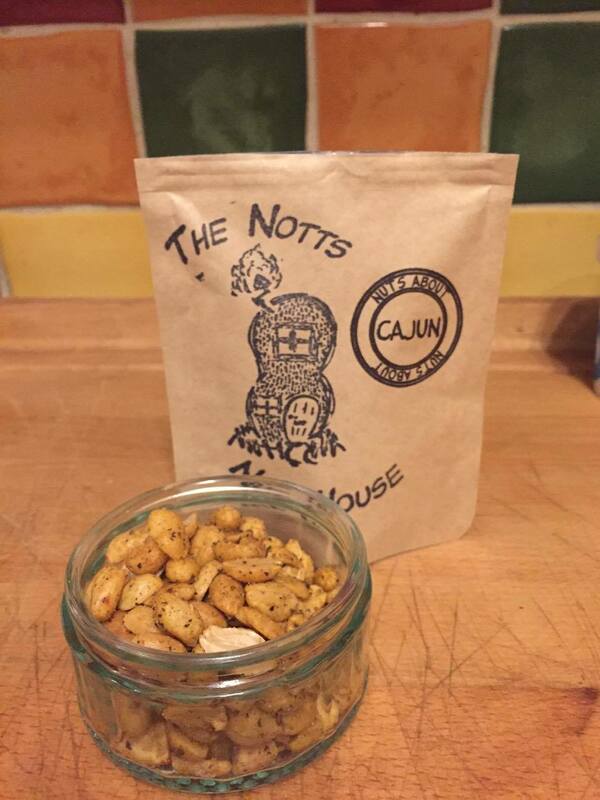 Peanuts are a pub classic, but the usual salted and dry roasted are so boring! 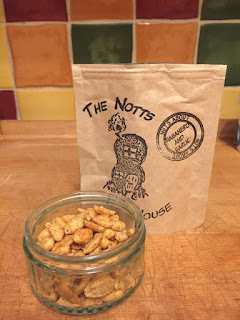 I was lucky enough to sample their 5 different flavours (70g bags). All of the pouches are resealable to keep in freshness - I found them a little tricky to open though. The packaging is simple yet effective I'd say. 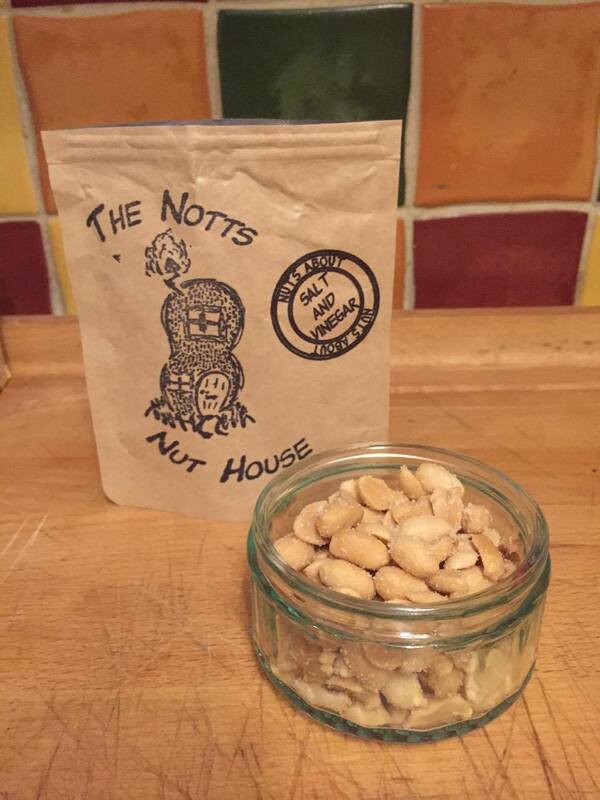 There's a nut house which made me giggle along with the flavour stamped on there too. 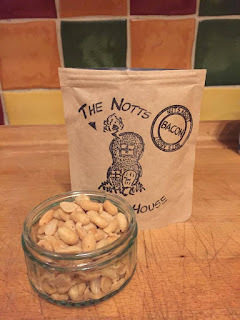 As I mentioned, plain salted peanuts are old news! I certainly underestimated how much difference the addition of vinegar would make though! I loved how these peanuts were covered in the stuff. A simple yet great addition. Bacon is the Notts Nut House's original flavour after 'head nutter', Allan was on a mission to create a bacon bar snack. As soon as the packet opens the smell pours out. I found it to be a mixture of frazzles and roast chicken crisps. There's a slight smokiness there, nothing too overpowering. Plus, they're vegan! So if you're a vegan who misses the taste of bacon, give these a try. A lovely mixture of spices that pretty much tastes exactly like cajun flavoured food I've had before. There's a little heat at first which soon dies down to appreciate the full flavour. Now, when I saw that this packet had a warning on the back, I must admit, I was a little scared to try them. It's recommended that these nuts are only eaten one at a time as they have a scoville rating of 100,000 - 350,000 - Crazy! I had a go, but these were far too hot for little old me. 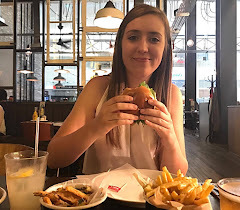 I felt that the heat meant that the garlic flavour didn't come through. I understand that there are many that enjoy the heat though. The first thing that stands out with the Piri Piri flavour is the colour, they're a lot darker than all of the others. I thought these were very good, but also very similar to the Cajun flavour. I couldn't really tell much difference myself apart from more of a garlic taste. But, that might just be me! Overall, I really enjoyed having the opportunity to sample Notts Nut House's range. I really like the packaging, it's minimal but does the job. My favourite flavour was without a doubt the Salt & Vinegar. I ended up eating the whole packet to myself - oops! I think they work really well as a locally produced bar snack. It gives it that more of a selling point than any of the other brands. If I see these in a pub, I'll buy some for sure. If they were selling on a stall at a food festival, I'd buy some too. You can also buy the range online and check out all of their stockists. Have you tried any of the range? Let me know!